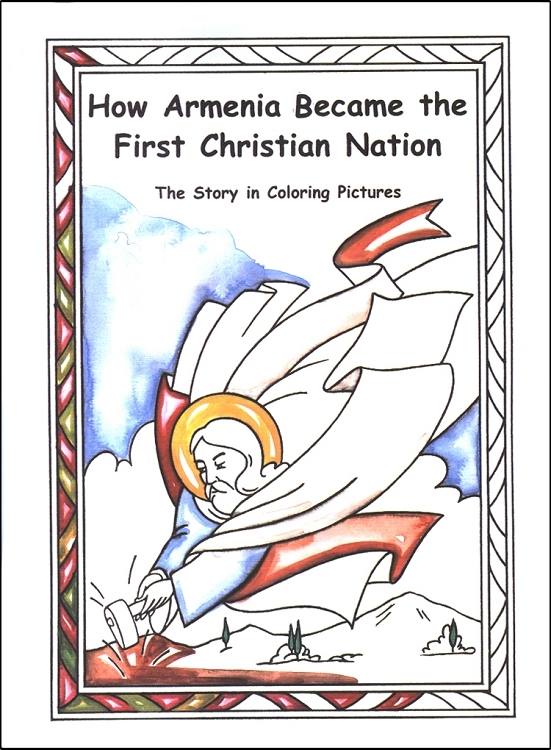 How Armenia Became the First Christian Nation is a delightful coloring book that teaches children about the Armenian conversion to Christianity through text and pictures. From the pagan period, to the arrival of Sts. Thaddeus and Bartholomew and the enlightenment of St. Gregory, your children will enjoy hearing the stories--written in both English and Armenian--almost as much as they will enjoy coloring the wonderfully detailed pictures. This coloring book makes a great gift for children of all ages and is sure to help them understand their unique Christian heritage from a young age.